I’m delighted that Scottish Labour has announced that, if elected in 2016, we would use the new Smith powers to stop onshore fracking in Scotland. We believe that the environmental and safety case for fracking has not been made, and that is why we are calling for no onshore fracking in Scotland until it has been shown beyond all doubt that it can be carried out safely. We know that our communities are rightly concerned about shale gas. They are worried that it will be imposed on their community against their will and without their consent. We also want to protect our beautiful landscape and its fragile ecosystem. Almost all of Scotland is considered to be a drinking water protection area, which makes it reckless and unnecessary to push ahead with fracking without a thorough and comprehensive review of the baseline conditions in Scotland before any applications can be permitted. The Scottish Government has always had a veto on fracking through the planning process, but now with other decisions on shale gas effectively devolved, it’s time for Scotland to set our standards high. Because the UK government have also failed to ensure the wider regulatory conditions are tough enough, Labour have tabled an amendment to the Infrastructure Bill going through the UK Parliament to block fracking until the right regulation and inspection is in place which Scottish Labour MPs will vote for on Monday 26th January. 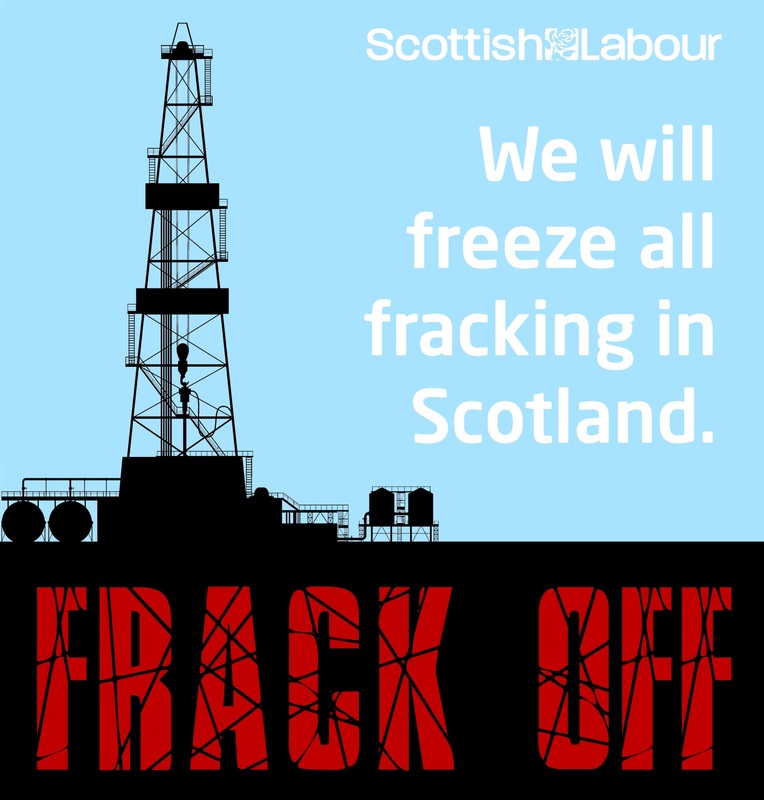 Scottish Labour would introduce a triple-lock system to halt any onshore fracking taking place in Scotland until environmental and health safeguards are in place. With the new powers coming to Scotland through the Smith Agreement, all decisions about fracking will soon be made here. The SNP Government already have the power now to stop any onshore fracking in Scotland immediately, Scottish Labour believe they need to use it now. This entry was posted in Uncategorized and tagged fracking, Scottish Labour Party. Bookmark the permalink.